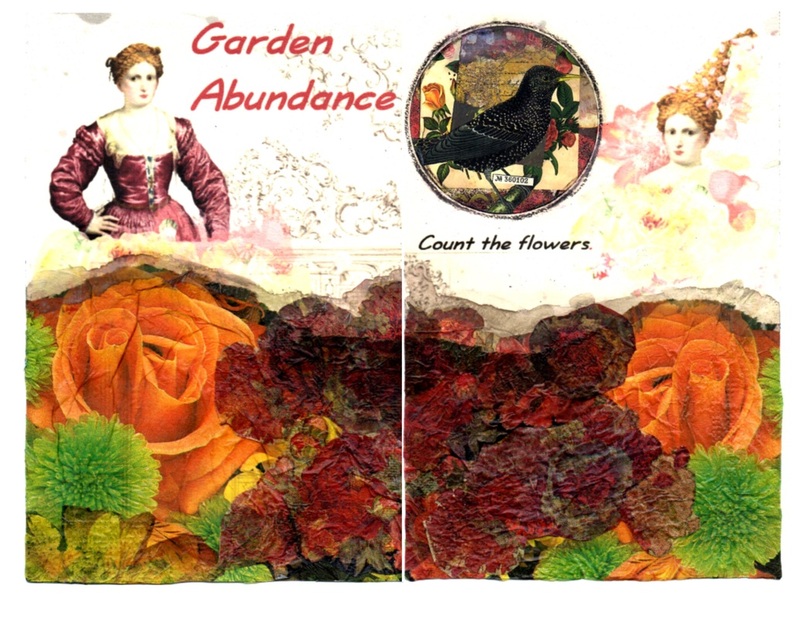 A couple of days ago I did Garden Abundance page. 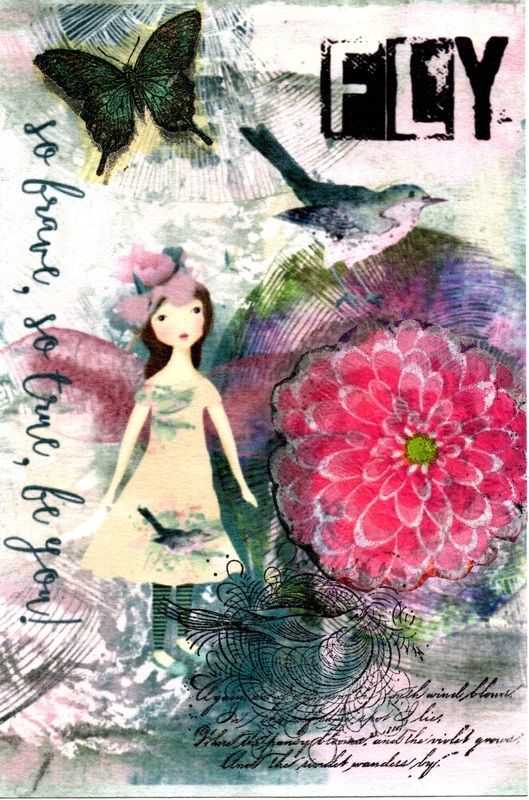 The background and art dolls are from the Tangie Baxter July Grab Bag and the bird circle is from printables in the Junque Journal workshop. All the layers of flowers are cut or torn from 2 different napkins. I drew around the edge of the circle with a black Phano china marker and painted green along the edge of the paper napkin images. 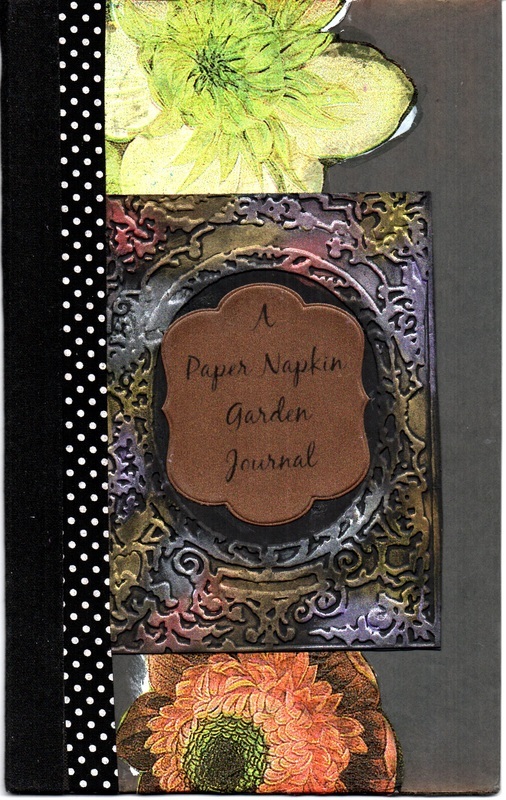 Today I created this pansy page for my Garden Journal. 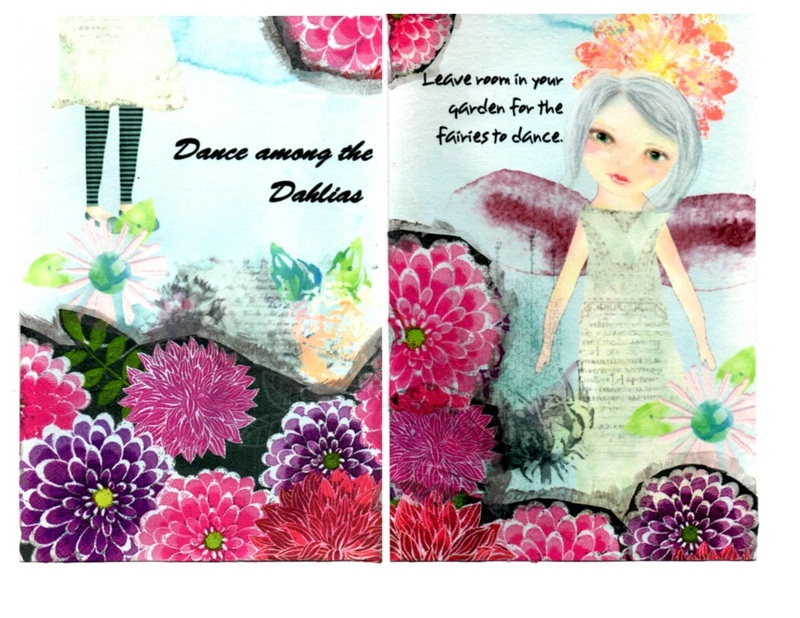 This background is from Rebeca McMeen's Carson Art Doll kit papers. The seated art doll comes from the July grab bag and the head is from Milla Spring Closet in the May grab bag and the quote is also from the July grab bag. All the pansies are from one napkin and I still have a few left over. I painted purple watercolour around the pansies. This fourth two-page spread is another Tangie Baxter background and overlay. 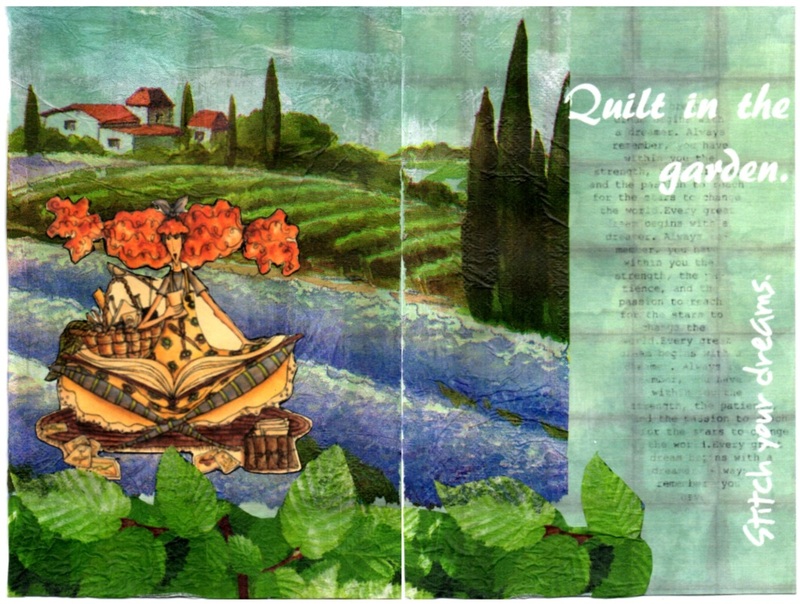 The journaling is computer generated and the farm scene is a paper napkin. The leaves along the bottom are from another paper napkin. The beautiful wild lady sitting with her sewing supplies is an image I found on my computer and don't remember it's origin. 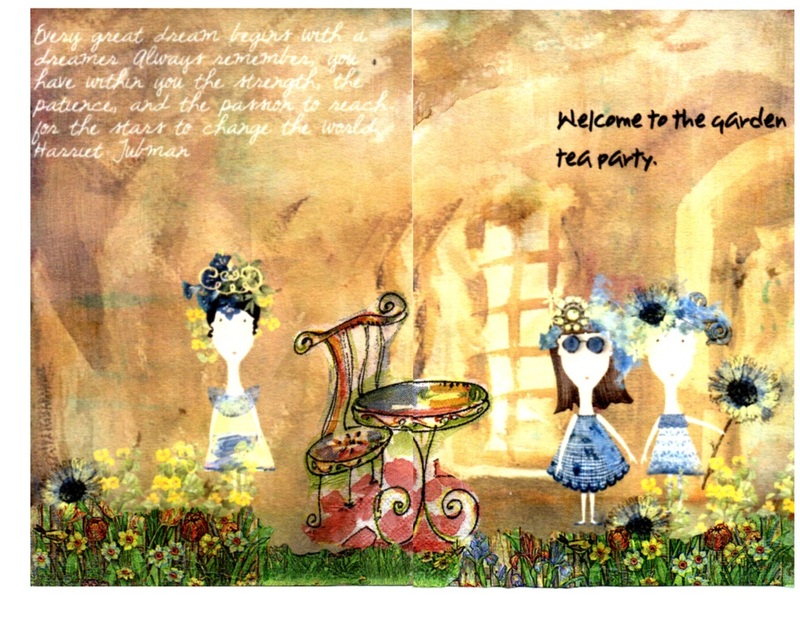 This is another 2 page spread that again started digitally with Rebeca McMeen's art dolls and Tangie Baxter images. The flowers along the bottom and the tea table are paper napkins. For these pages I again used a background from Tangie Baxter. The art doll is Carson from Rebecca McMeen and the wings and trims are from Carson or Bethany art doll sets. The dahlias are the paper napkin. I have started a new adventure and it's a project I have had on my to do list since I saw an article in Cloth Paper Scissors January/February issue. Everything has come together like magic for this project to go ahead. 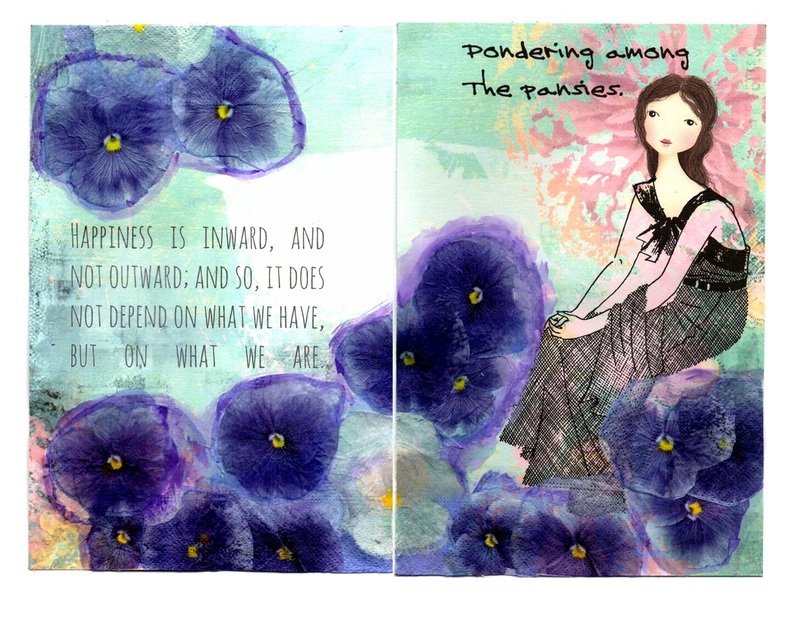 The first spread uses a background and collage images at the top that comes from The Tangie Baxter web site. 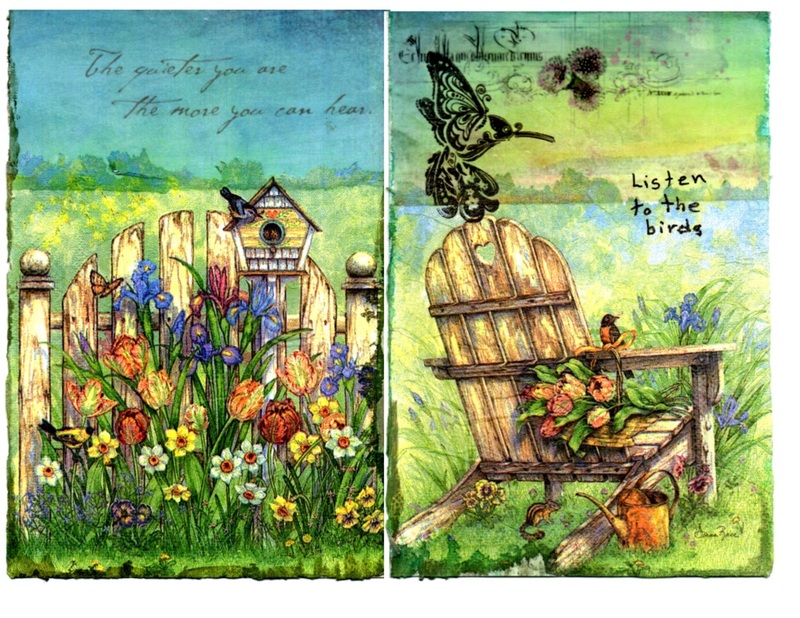 The lower image of flowers, chair, birdhouse and gate all come from one half of a paper napkin. I stamped the hummingbird from a Inkadinkado Mindscapes stamp set. The edges of the page were painted with watercolour and I journaled "Listen to the birds"
​Since this will be a larger project, I decided to create a separate page to record my journey. I will assemble and bind the pages once they are all completed.